Wanna be like CJ Perez? If yes, read the announcement below. Hi Ballers! I just wanna share to you that the San Sebastian College-Recoletos Manila Men's Basketball Try-Outs Schedule is during weekdays this summer at 9:30 am at the San Sebastian College Gym, except this coming Wednesday because they will have a game in the FilOil Flying V College Basketball Tournament. Sir pwede pa po bang mag try out? SAcollege po ba ito, pwede pong mag try out ng saturday at saan po ung meeting place na court para sa mag tatry out po. men taga san ka gusto mo sabay tau try out, ano height mo ba? sir pwede pa po ba magtry out ? 5'8 lang po heght ko , 18 years old . pa update po . 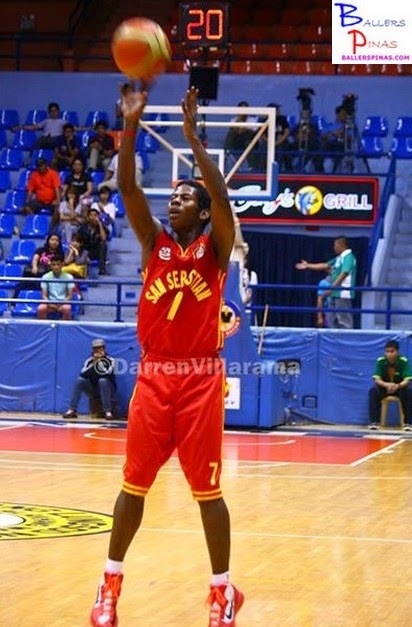 gust2 ko po snang magtryout 5"7 height 16 years old..
mayroon po bang tryouts po dyan ngun sa baste? I am 18 yrs.old 6'2 half mag ta tryout ako this summer sa BASTE.